KAKINDU – Wakiso Giants were held to a 1-1 draw away to JMC Hippos in one of the eight FUFA Big League games played on Thursday. The hosts started brightly and could have taken the lead inside 10 minutes but on multiple occasions, veteran forward Crespo Asiku could not find the back of the net. The visitors-Wakiso tried playing a passing game but the pitch wasn’t friendly to them hence frustrating most of their build up. In the 40th minute Wakiso lost Suleiman Jjingo who sustained an injury and brought on Ivan Kiweewa. Before end of first half Kiweewa had a penalty appeal waved away by the referee after a JMC defender handled the ball in the area before the sides were sent to the half time break. The Jinja based club came back into second half with the intent to score but continued their wastefulness in front of goal. A minute before the hour mark, JMC capitalized on Giants’ lapse in concentration for George Nsimbe to slot home the opener. Utwar Abubaker later brought down Feni Ali in the area for the referee to point to the spot and hence a goal for the giants in the 75th minute through Ivan Kiwewa. 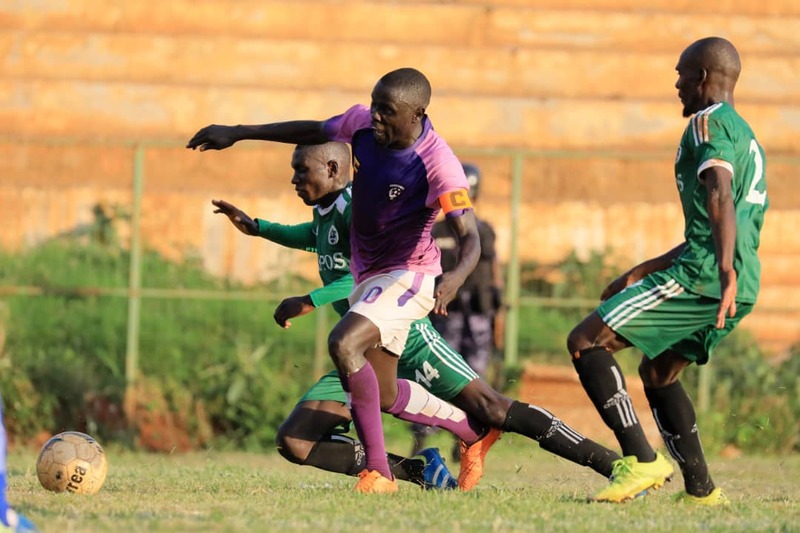 In the closing minutes, Wakiso’s Clinton Komugisha was pulled in the area before he staggered on to score in an empty net but the referee cancelled the goal and awarded the hosts a free kick in controversial fashion. “We didn’t win the game today due to many reasons but we are going to work on a few mistakes we made,” said Kirya . The purple Sharks go to two points from as many games. The side opened up with a two all draw in Lira against Amuka Bright Stars. The draw leaves JMC Hippos with four points as the side had earned a 1-0 win over Bukedea Town Council in their league opener. Wakiso host Kataka FC at Bugembe Stadium in their next fixture on November 15.